It’s been said that publishing a book is a bit like having a baby, which means we’ve entered our final trimester and are starting to wonder if we’ll ever be able to see our feet again. Our first book, “Beautiful Scars,” will be released May 17—only 12 short weeks from yesterday. This week, we’re uploading files for review copies, which will be sent to media outlets far and wide to generate reviews, articles and interviews. 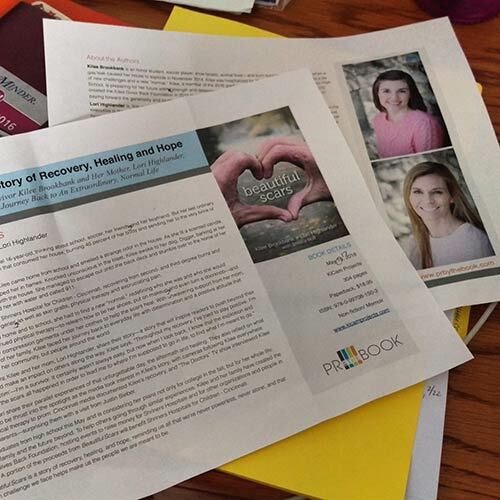 We’re working with a fantastic publicity firm, PR By the Book, that will help us gain the exposure we need to make “Beautiful Scars” a nationwide success and share Kilee and Lori’s story with the widest possible audience. We’re also working with Shriners Hospitals for Children to schedule book signings at the burn-care units in Cincinnati; Boston; Galveston, Texas; and Sacramento, Calif. We’ll announce dates when they are final—it’s going to be a fantastic summer! In addition to “Beautiful Scars,” the small but mighty KiCam team is working on launching the Kilee Gives Back Foundation, refreshing KiCam’s logo and branding, and acquiring books for fall 2016 and spring 2017 release. We’ve received some outstanding submissions, and we’re actively in pursuit of more stories of survival and recovery that will inform and inspire audiences around the country and throughout the world. Oh, and did we mention that our first documentary film is in progress? There’s a lot going on at KiCam! (And if you know Lori, you know she wouldn’t have it any other way.) We appreciate your support and encourage you to send us your great story ideas. Stay tuned to our blog and social channels for official event and appearance announcements coming soon! Publishing is a tough game to be in. Even as it’s gotten easier to self-publish work, thanks to options such as Amazon CreateSpace and IngramSpark, getting that work promoted, sold and distributed is still a time-consuming, labor-intensive, potentially expensive prospect. The industry is built with a high barrier to entry that can discourage small presses and independent booksellers alike. It’s a challenging environment, and at KiCam Projects, we’re ready to tackle that challenge and try to change the game, providing our collaborators with a mission-based partner for creating books, films and music. We believe strongly in the power of great stories to inspire and inform and, as a result, help people heal from illness, addiction, depression and personal tragedies. We’re going to bring such stories to light, calling on our collective backgrounds in publishing, journalism, marketing, business operations and addiction recovery. And proceeds from our projects will benefit the nonprofit organizations selected by our collaborators. Yes, we face some obstacles, and yes, we know it won’t be easy. But KiCam Projects was created because of a true belief that sharing powerful stories can change the world. We know we’ll get through the rough patches to be successful and make a difference for our partners, our audience and charitable organizations around the world. The rough patches will only be temporary. We’re building KiCam Projects to leave a legacy that lasts. Would you like to work with KiCam Projects? Learn more. Call for Submissions: Who Inspires You? At KiCam Projects, we find inspiration all around us: in the people we know and love and in people we’ve never met and can only admire from afar. We believe that everyone has the power to change the world in ways both large and small, and we’re grateful for the people in our lives—friends, family members, co-workers—who remind us each day how impactful a single person can be. We look up to world-renowned names such as Oprah, Malala Yousafzai, Jimmy Carter and Jim Foley. And we’re moved by local stories of people like Lauren Hill and Sam Boling rising above their circumstances to better the lives of others. Those are the kinds of stories KiCam wants to tell, through books, films and music. Do you have an inspirational story? Do you know someone else who does but hasn’t been able to navigate the world of publishing to get that story out? Then please connect with us through our Submissions link. We’re looking for true stories of growth and recovery from illness, addiction, tragedy or other challenges that will inspire and empower audiences. We ask that you submit a cover letter, one-paragraph summary, brief bio, project synopsis and table of contents by March 2016 to be considered for 2017 projects. We’re hard at work identifying and reaching out to people and organizations with meaningful stories that deserve to be told. Do you have suggestions or ideas? Please reach out to us and share your thoughts. KiCam Projects is a mission-driven company, and all of our collaborators are asked to select a nonprofit organization that will benefit from the proceeds of their work. Together, we will change the world, one great story at a time. https://kicamprojects.com/wp-content/uploads/2016/02/ID-100303472.jpg 266 400 Courtney Watson https://kicamprojects.com/wp-content/uploads/2017/09/KiCam-Logo-Web-Md-No-Tag-TM.png Courtney Watson2016-02-10 08:05:232017-01-12 15:53:53Call for Submissions: Who Inspires You? What are your favorite kinds of stories to read, watch or listen to? Classically, we’re taught about protagonists and antagonists, with a climactic third act followed by a resolution that ties everything together and satisfies our need for closure. In reality, though, we all come to learn that our lives’ stories rarely follow the structure the ancients Greeks intended. Heroes and anti-heroes become less clear-cut, and the concept of closure often is replaced by uncertainty, resignation or the acceptance that an ongoing process might be more important (or more feasible) than a finite result. The most compelling dramas, in this day and age, are less about a basic notion of good triumphing over evil and more about individual journeys paved with countless personal reckonings—some large and seemingly insurmountable, and some so small they appear inconsequential. Those are the kinds of stories KiCam Projects wants to tell. We want to shine a light on the everyday person who becomes a hero to others by continuing to struggle against demons or challenges that can’t be overcome in a grandiose battle scene. We want to dispel the notion of the “average person” by highlighting the uniqueness of everyone’s personal story. And we want to remind the world that each of us has something special to give, something no one else can contribute in exactly the same way. What’s your story? What have you been through and learned? 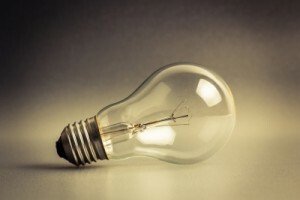 How can you inform and inspire readers or viewers? If you have a manuscript, script or synopsis, please send it, along with a cover letter, to submissions@kicamprojects.com for our team to review. https://kicamprojects.com/wp-content/uploads/2016/01/signing.jpg 200 300 Courtney Watson https://kicamprojects.com/wp-content/uploads/2017/09/KiCam-Logo-Web-Md-No-Tag-TM.png Courtney Watson2016-01-21 20:46:362018-05-11 14:19:46What Makes a Great Story? We’re a publishing and production company that’s on a mission to change the world, one great story at a time. Launched in late 2015, KiCam Projects is led by a small team that believes in the power of personal stories to inspire people and encourage them to grow, change and heal. We were moved by experiences in our own lives to create KiCam and use it as a platform to help others. Proceeds from all of our projects will go to non-profits and charitable organizations chosen by our collaborators, and we’ll focus on stories of recovery—whether from addiction, injury, illness or personal struggle. On our site, you’ll be able to find out about our works in progress, submit manuscripts and ideas, and keep up with the growth of our company. Our first project, the book “Beautiful Scars,” will be published in May 2016, so be on the lookout for reviews and news about signings, interviews and events with our authors, Kilee Brookbank and Lori Highlander. In the meantime, we invite you to stay in touch with us here at our site and through our social channels: Twitter and Facebook. Have questions or ideas? Do you know of someone whose story would fit with KiCam Projects’ mission? Shoot us an email and let us know more. We look forward to connecting with you. There are so many incredible stories to tell and lives to change. Join us for the ride!